Updated at 9 a.m. Jan. 18, 2017. An earlier version of this article incorrectly reported the mayor was in Washington. San Diego Mayor Kevin Faulconer is one of the most prominent Republicans in California, but he has something in common with dozens of Democrats in Congress. He’s not attending Friday’s inauguration of Donald Trump as the 45th president. Faulconer is listed among 314 mayors registered as attending the 85th Winter Meeting of the U.S. Conference of Mayors through Thursday, but he’s in San Diego now, Gustafson said. Faulconer didn’t attend Trump’s late-May rally in San Diego either, and he wrote in House Speaker Paul Ryan for president (after being an early endorser of Sen. Marco Rubio and later Ohio Gov. John Kasich in the primaries). 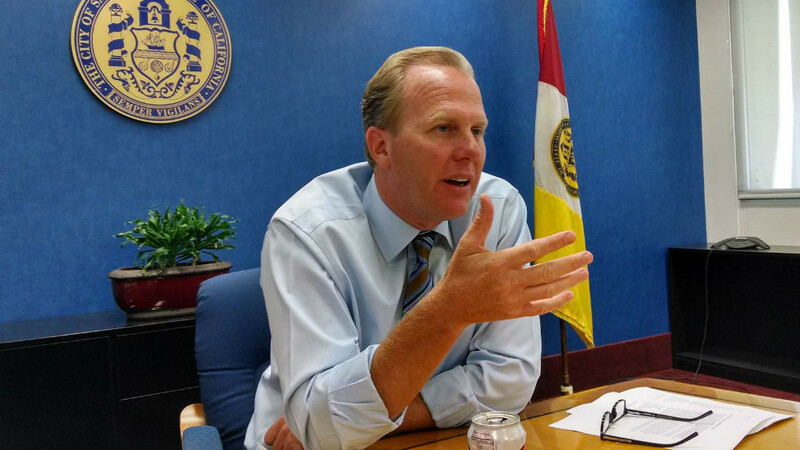 Last September, Faulconer staked out a position at odds with Trump’s stances on Mexico. Even so, Faulconer was criticized for failing to condemn Trump during the primaries. Rep. Juan Vargas, D-San Diego, announced Tuesday that he would join at least 15 other Democratic members of California’s congressional delegation in skipping the inauguration. “Instead, I will be praying for our country and for our community with the people of my district,” Vargas said in a statement posted on his Twitter account. However, the other Democrats in San Diego’s five-member congressional delegation, Susan Davis and Scott Peters, plan to attend the inauguration, according to reports. All California Republicans in Congress will attend.